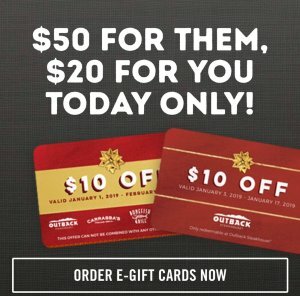 Outback Steakhouse offers get $20 gc for free Gift Card Deal Buy $50 eGift Card. 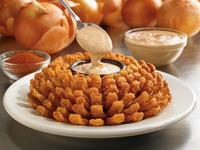 Outback Steakhouse offers a free Bloomin' Onion with any purchase, just mention "Blooming Monday" to your server. Click here to find a location near you.